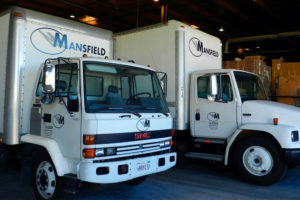 Company Profile – Mansfield Textiles, Inc.
Mansfield Textiles, Inc. is located in Vernon, California near the Pacific Ocean. 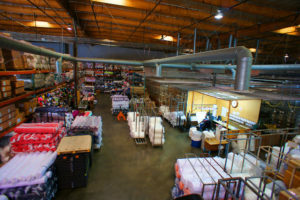 It is one of the fastest growing textile manufacturers in the Southern California. Mansfield is dedicated in manufacturing textiles that feel and touch as natural as a summer sea breeze. Naturally, cotton, cotton blends and cellulose fibers are the key products of Mansfield. Technical innovations, creative mindset and industry leading information technology are some of the reasons behind its great success story. 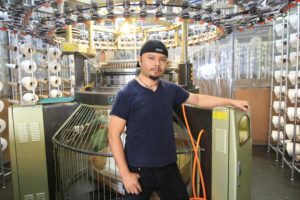 Mansfield Textiles Inc. is engaged in knitting and distributing of textile products to United States domestic wholesale clothing manufacturers with highly skilled personnel, and efficient production methods in a strong commitment to technology and quality, unprecedented in our industry. 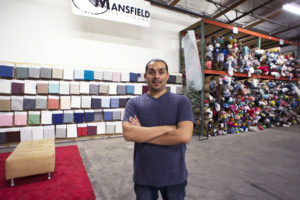 Mansfield Textiles, Inc. began operation in Gardena, California in December 1995. In 1997, operations were moved to a modern facility encompassing 55,000 square feet with 60 new and updated knitted machines and 50 employees who share our vision and dedication. 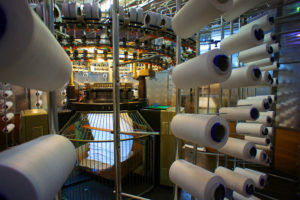 Mansfield Textile, Inc. has $20 million in revenues this year and has strong background entered into credit arrangements with commercial banks for working capital base on high credibility business relationship. Moreover, our success is due to its ability to flourish and innovate in the face of change. In addition to being strong in the area of product development creative thinkers in terms of developing up-to-date internal information technology, allowing us to have the correct merchandise in stock right time. 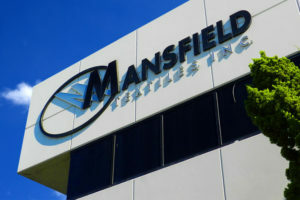 Today, in order to maintain its competitive advantage over its competitors, and to better server its customers, Mansfield Textiles, Inc. continues its efforts locally in North and South America and our goal in globally across overseas markets. Lead operations and strategic direction of a multi-million dollar textile manufacturing and distribution company with a reputation for highest quality yearns in rayon, modal and cotton. Recognized as one of the fastest growing companies in Southern California with exclusive product distribution to US wholesale clothing manufactures. 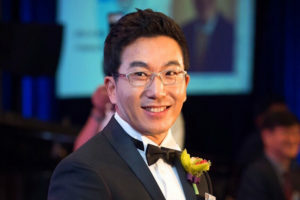 He also served the Korean American Chamber of Commerce of Los Angeles as Chairman (2015-2016) and as President (2016-2017) the largest Korean American non-profit organization in US. Warren has over 30 years of experience in appeal industry starting with his own women’s manufacturing company for 15 years before joining Mansfield Textiles, Inc. in 2001. He plays a key role in the growth and survival of companies in the manufacturing sector who is instrumental in the vision of his company and in its ongoing operations. 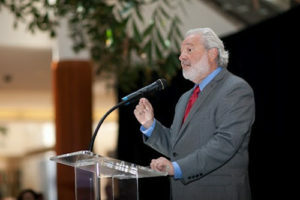 He oversees the development and implementation of manufacturing processes to maintain proper product functionality as well as cost efficiency; ensures the engineering team and other manufacturing departments work together cohesively and is responsible for the development of equipment to aid in the manufacturing process; leads and directs the work of assigned manufacturing engineers and project engineers. He manages all employees of the textile department and is responsible for the performance management and hiring of the employees within that department. He has over 40 years of experience in textile manufacturing. He is responsible for providing technical and administrative support to the operations and engineering teams. He provides technical support and training to assembly and manufacturing personnel. Troubleshoot equipment, manage calibration and preventative maintenance processes; which include documentation, calibration, maintaining spare parts inventory. Performs other work-related duties as assigned. He oversee the daily operations of manufacturing and related plants. 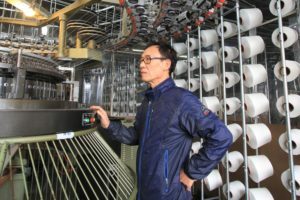 He coordinates, plans, and directs the activities used to create a wide range of goods, such as knitting orders, greige goods, inspection of finished goods and quality control of our unprecedented textile products. The chief accounting officer and heads the accounting department. 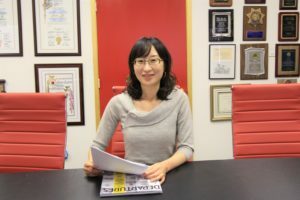 Jane is responsible for the company’s financial statements, general ledger, cost accounting, payroll, accounts payable, accounts receivable, budgeting, tax compliance, and various special analyses.